The chairman of a key U.S. military contractor in the Middle East was recently charged with multiple felonies in a major fraud, money laundering and public corruption scheme. According to court papers in Kuwait, where the charges were filed, misappropriated investor money so far totals more than $160 million, a figure that could go higher, the Project On Government Oversight has learned. The contractor, Kuwait and Gulf Link Transport, better known as KGL, is a publicly traded conglomerate with hundreds of millions of dollars in U.S. military contracts. The criminal charges, together with other court documents and unreported revelations made by former executives of a KGL affiliate in a U.S. lawsuit, involve KGL’s possible violation of U.S. sanctions against Iran, and accusations of potentially illicit flows of cash from Russia, Iran and Syria. Taken together, the allegations raise troubling questions about the American military’s heavy reliance on the firm. The 2017 criminal indictment by Kuwaiti prosecutors points specifically to a KGL affiliate, called KGL Investments [KGLI], as the alleged nexus of fraud and money laundering inside company headquarters from 2007 to 2015. KGL has long denied it has ever violated U.S. sanctions in any way. However, KGL Investments, KGL, and many of its subsidiaries are co-located in the same office building and directed, in part, by KGL’s just-indicted chairman, who is also a director of KGLI, according to court papers. The indictment says that a portion of the embezzled funds was channeled to KGL component companies. Also targeted in the criminal complaint against KGL’s chairman is the Vice-Chairman of KGLI. Convictions could result in jail sentences. Court documents list victims of the alleged fraud as key government departments–Kuwait’s Public Institution for Social Security and its Ports Authority. The Ports Authority serves as a staging area for America’s ongoing military involvement in Iraq, and was indispensable to U.S. Central Command in both the first and second Gulf Wars and occupation of Iraq. 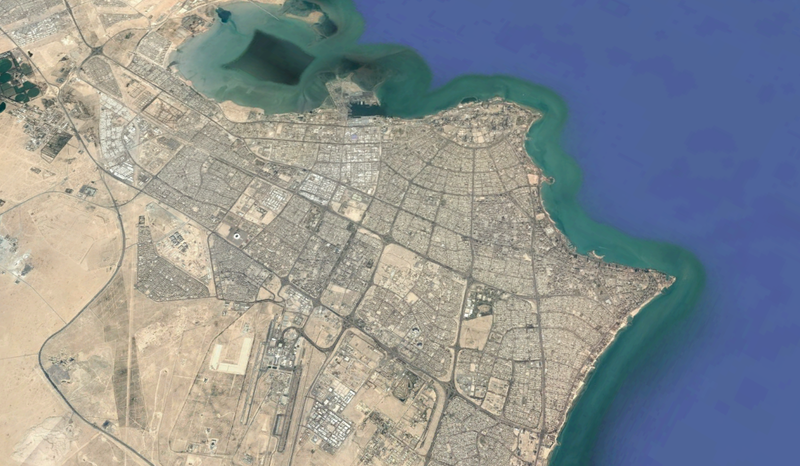 According to an official in Kuwait, senior U.S. military personnel at the American embassy and at Camp Arifjan, a large American base in Kuwait, were officially informed of the criminal indictment, and received written copies of the details. This was done, the official said, because the indictment targets executives related to a major U.S. military contractor, allegedly involved in stealing from important Kuwaiti institutions. In a separate dispute, the Ports Authority recently banned KGL from operating in the port. It remained unclear what action, if any, the U.S. military might take in response. Spokespersons at CENTCOM, the Department of Defense and the U.S. Army’s Contracting Command all declined to comment. Further revelations about KGL or its subsidiaries, or a conviction of one or both of the indicted executives, could call into question the conglomerate’s grip on sizable U.S. military contracts, and its eligibility to receive future awards. Beyond the large contracts it already has, KGL is currently in line for a sizable share of the new so-called Heavy Lift VIII, a $200 million transportation-services deal that the U.S. military could assign by August. But there is the possibility the award could run afoul of federal contracting rules, which require ethical conduct and the avoidance of serious crimes. In December, the Iran Sanctions Act was extended by 10 years on a 99-0 vote in the Senate, and a 419-1 vote in the House of Representatives. The law states that the federal government “shall terminate a contract with such person or debar or suspend such person from eligibility for Federal contracts” for a minimum of two years if they are found to have falsely certified to be in compliance with U.S. sanctions against Iran. KGL has repeatedly said it complied with provisions of the FAR. The criminal charges against KGL executives are the result of a four-year probe by Kuwait’s national security police. A court hearing on the matter in Kuwait was held on May 21, and another is scheduled for June 11. Among other records, POGO obtained a 21-page copy of a charge sheet dated May 9, 2017. The document, in Arabic, names three defendants. Saed Dashti, 61, is chairman of KGL. Maria [Marsha] Lazareva, 44, is Vice-Chairman and Managing Director of KGLI, where Saed Dashti also serves as a director. A third defendant, Mohamed Al-Asfour, 71, is a senior public official—the executive vice-chairman of Kuwait’s Ports Authority. Documents describe Lazareva as a Russian national. She was educated at the Wharton business school and public records associate her with real estate ownership in the Philadelphia area. According to news accounts, she showed up in court for the May 21 hearing, protesting her innocence. The indictment says Dashti and Lazareva transferred large sums of investors’ money to their own private accounts and to a variety of KGL subsidiaries or related companies between 2007 and 2015. They did this, court documents say, partly using a network of financial institutions including the Hong Kong and Shanghai Banking Corporation and one of its branches in the Cayman Islands. The bank also has branches in the United States, Kuwait, Asia and other parts of the world. It’s unclear whether any of the allegedly embezzled funds passed at some point through the American financial system, which could trigger a U.S. investigation. Fraud and money laundering charges are only the latest in a string of KGL controversies in recent years. There have been accusations of business ties to Iran in violation of U.S. sanctions, and of systematic leaking of sealed and privileged federal court documents and other sensitive material to KGL’s Washington lawyers by the Defense Logistics Agency, the DoD component that oversees KGL’s U.S. military contracts. Those leaks led to formal inquiries by a key U.S. senator. A civil lawsuit involving KGL in Pennsylvania has brought to light accusations that could bear directly on the alleged fraud and money laundering scheme in Kuwait. The lawsuit, brought by KGL, charges the firm’s principal competitor, Agility Public Warehousing Co., with defaming KGL’s reputation by falsely claiming it had ties to Iran. Testimony in the Pennsylvania case—which is ongoing—includes declarations sworn in 2013 by a pair of former executives of KGL Investments, as part of Agility’s defense. 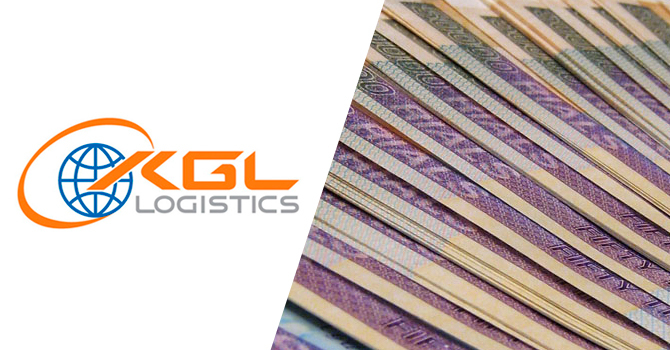 Both said Dashti and Lazareva misinformed investors about KGLI’s financial condition, and one of the executives reported they had made repeated trips to Russia, Iran and Syria in an apparent attempt to shore up KGLI’s faltering finances. The two former KGLI executives testified that Dashti and Lazareva occupied offices on the same floors and hallways at KGL’s headquarters in Kuwait along with other subsidiaries. The declaration of Mabrouk, who could not be reached for comment, did not include documentary or other evidence to support his statement. Mabrouk did not say what, if anything, KGL Investments did in exchange for the money it allegedly received, or that he knew specifically that inflows had come from Iran, Syria and Russia, even though he said the pair had traveled there. Mabrouk did specify that Lazareva at one point asked him to travel to Syria to “review a potential investment in a port,” but he refused because that country was under U.S. sanctions. Because Mabrouk also holds an Egyptian passport, he said Lazareva told him to use that travel document instead of an American passport. When he refused a second time, it set off a chain of events which, he said, led to his departure from the company. Another KGLI executive also offered testimony in the same Pennsylvania court case. Wael Salam, an American citizen who worked for KGLI both in Kuwait and in Atlanta, said he was the firm’s Chief Investment Officer. He said both Dashti and Lazareva were directly and deeply involved in decision-making at the firm. He also reported that KGL funded KGLI with money from its subsidiaries as well as seeking contributions from outside investors. Salam said that, from his perspective as an insider at the company, making profits did not appear to be KGLI’s principal goal, at least given its decision to sink its money and assets from its “Port Fund” into a variety of failing or near-bankrupt facilities in Egypt, Pakistan and other countries. Four years before the criminal indictments in Kuwait, Salam testified that he wanted to leave KGLI “…because I believed it was engaging in illicit activities … Specifically, it appeared to me that KGLI was engaged in money laundering, and presenting false financial information to investors.” His statements also show that Salam was trying to raise money to start his own investment fund after he left KGLI, which the company cited as one of the grounds for his dismissal. He could not be reached for comment. Salam said Lazareva asked him on multiple occasions to visit Iran, sometimes without explanation and at other times to evaluate a port investment. When he refused because Iran was under U.S. sanctions, she suggested that he, too, use his Egyptian passport. He again refused to go and, following a series of disputes and alleged high-pressure tactics by the company, was fired. A KGL representative declined to comment to POGO on the testimony of Mabrouk or Salam. The Pennsylvania court case recently provided additional information about KGL’s relationship with Iran, a controversy that stretches back into the Obama administration. As evidence emerged indicating possible sanctions violations by KGL in its joint ownership of ships with IRISL, Ashton Carter, then Under Secretary of Defense for Acquisition, Technology and Logistics and later Secretary of Defense, wrote to U.S. lawmakers who had inquired about the situation. In letters to Sens. Claire McCaskill, Robert Menendez, Mark Kirk, Robert Bennett and others in 2011, Carter wrote that DoD could find “no substantial information” that KGL had continuing ties to Iran that would prevent it from holding U.S. military contracts. By that time, the company had publicly announced its decision to end all business dealings with Iran in compliance with U.S. law. Since then, however, as part of legal discovery in the Pennsylvania court case, KGL has divulged emails and documents, and offered testimony from one of its former executives that appear to show it did have business with IRISL—at a time when Under Secretary Carter was telling Congress just the opposite. At least that is the argument set forth in an extensively documented summary of KGL’s own internal records filed by KGL’s adversary in the Pennsylvania case. Among other things, the summary cites those KGL records showing that its joint venture with IRISL made “at least 63 financial transactions” with the Iranian shipper after U.S. sanctions had been imposed. In another example from the summary, a former KGL executive, Allan Rosenberg, gave the court a statement describing how he set up a “ghost structure” email system that resulted in the concealment of KGL’s continuing business with the Iranian-owned company. A KGL spokesperson declined to comment on the summary or on Rosenberg’s statement. In May last year, Fuad Dashti, a brother of the recently indicted Saed Dashti—both members of the wealthy Kuwaiti family that controls KGL—was arrested at San Francisco International Airport. He was charged with involvement in illegally selling aircraft parts to Iran, according to a senior U.S. official, and brought to Washington, D.C., apparently for questioning by the FBI. However, Fuad Dashti maintains ongoing financial ties to KGL, and has been listed as a top executive and part owner of National Cleaning Company, which is partly owned by KGL. According to the recent indictment in Kuwait, Saed Dashti also owns a share of National Cleaning, though it is unclear whether misappropriated funds were diverted to the company. There was no reply to POGO’s repeated attempts to reach Fuad Dashti, including a message left at a California house where he is listed as owner. The criminal indictment of KGL’s chairman adds to a growing roster of unresolved issues swirling around the company and its role as a contractor with hundreds of millions of dollars in business with the U.S. military. Questions surrounding the company’s possible financial ties to Iran, and even Syria and Russia, raise national security concerns at a time when those countries are actively engaged in confronting American interests. America’s federal acquisition regulations require ethical conduct from companies and their leaders. 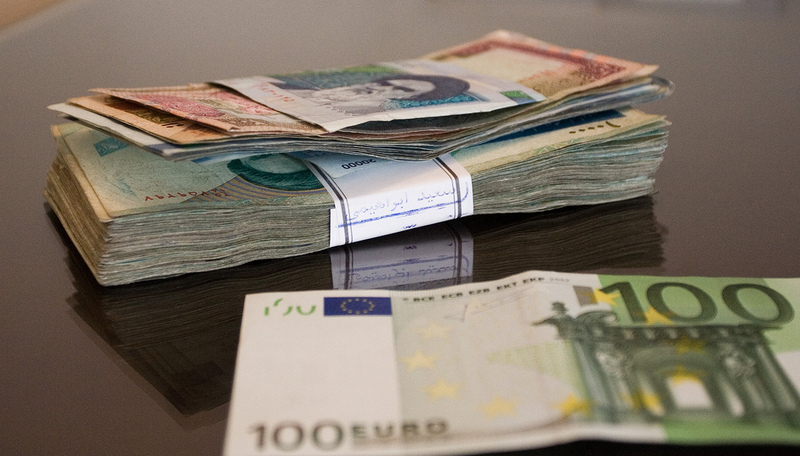 The large body of evidence in Kuwait’s extensively documented fraud and money laundering case raises doubts whether that requirement is being met. So, too, does the arrest of Fuad Dashti, long a key figure in KGL’s controlling dynasty, on charges of commercial dealings with Iran. Yet the U.S. government has made virtually no public statements about the matter. The fact that KGL, as long ago as 2011 and perhaps earlier, has been the focus of a probe led by the FBI into its ties with Iran only adds to the doubts. Again, no result of that investigation has ever been made public. And the same is true of the U.S. official response to a well-documented pattern of leaks to KGL’s Washington lawyers by the Defense Logistics Agency. Senior U.S. officials have told POGO that the DoD’s Office of General Counsel and its Defense Criminal Investigative Service have looked at or been made aware of the matter. Yet neither has made a public statement about the issues. Indeed, years of requests for information about KGL from agencies ranging from DoD to the Treasury’s Office of Foreign Assets Control have been met with incomplete answers and, on occasion, with apparently inaccurate information. Given that result, Congress needs to clear up what is going on with KGL and its huge government contracts, because federal agencies appear unable or unwilling to shed light on the issue, or credibly resolve it. Given the new criminal charges lodged against KGL’s chairman, the American public needs to know whether the company is a responsible and deserving recipient of U.S. taxpayer funds. To find out, Congress should look into what the FBI and other agencies have learned after years of investigating the company’s conduct, and inform the public of what it learns. 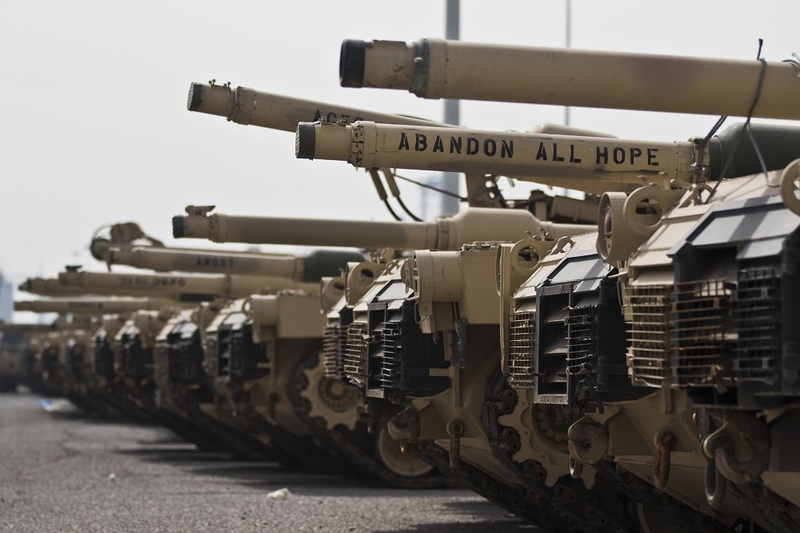 Of course KGL is not the only logistics contractor the U.S. military could rely on. Its principal competitor, and one of the largest single U.S. contractors in the Iraq war, is Agility Public Warehousing Company. Yet Agility, too, has faced its share legal problems—the Department of Justice recently settled criminal, civil and administrative charges against it. In the criminal case, which began in 2009, DOJ sought hundreds of millions of dollars in compensation for alleged overcharging. In the end, Agility was only required to “pay a maximum of $551 … in restitution.” In the civil case, the company agreed to pay $95 million, ending its suspension and allowing it to bid once again on U.S. government contracts. Taken together, Agility’s recently resolved legal problems and the new criminal charges against KGL’s chairman highlight the need for Congress and the Defense Department to reevaluate a contracting framework that has made America’s military the captive of two giant companies in one of the most strategic parts of the globe, an area where U.S. forces cannot operate without extensive logistical support. As an alternative to this dysfunctional system, Congress and the Defense Department should examine how to foster more competition by explicitly encouraging the Pentagon to make deals with a wider variety of market participants.